Power Crunch – Protein Genius! In fact, clinical studies have shown repeatedly that proteins derived from plant sources are inferior to proteins coming from milk, egg, fish and meat. In addition to inferior amino acid structure, digestion of plant proteins is difficult, and in high volume can actually distress the lining of the intestinal tract as well – an action many already dealing with bowel distress just don’t need. Proteins derived from plant sources are inferior to proteins coming from milk, egg, fish and meat. So what to do? How do you go about feeding your body healthy amounts of protein daily while maximizing efficient digestion to absorb all the protein you eat, keeping your cells happy with lots of high quality protein while maintaining a healthy intestinal tract? 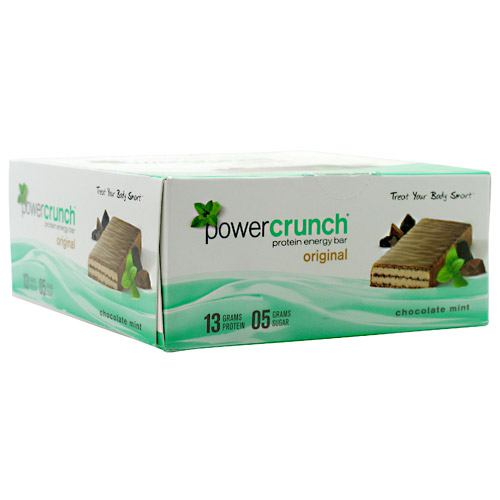 Power Crunch unique high-dh hydrolyzed whey protein may be exactly what you are looking for. A former college football player and world champion body builder with over a decade spent formulating sports nutrition products, Kevin Lawrence put his advanced knowledge of protein nutrition to the ultimate test when faced with the life shattering dilemma of a critically ill infant son. Unable to nurse due to complications with a C-section birth and subsequent antibiotic treatment, young Khalen began life on commercial infant formula. Roughly 8 weeks later, he developed a severe case of colitis which is especially dangerous for infants. While consulting with MD and biochemist friends, Lawrence came to the unorthodox conclusion that Khalen might be suffering from an inability to digest the very large intact protein molecules found in infant formulas (and in all protein foods and supplements). This concept was quite different than the standard medical hypothesis which generally attributes this condition to the source of the protein (milk, egg, soy, etc.) or other ingredients in the formula. After having tried every type of infant formula available, Kevin designed a hydrolyzed whey formula that became the solution to his son’s condition. After feeding Khalen the hydrolyzed whey formula for just 2 days, he fully recovered! The malady did not return. The same principles of digestion and protein absorption that healed Khalen apply to all children and adults. 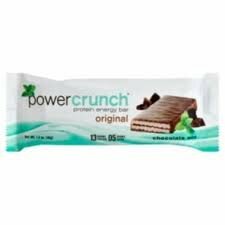 Today this same protein genius in the form of high-dh hydrolyzed whey protein that was employed to restore the health of his child so dramatically decades ago is found in every Power Crunch product. There could be no more personal and proven stamp of approval on a product than this. The body of science supporting hydrolysate technology is still growing rapidly, and Lawrence continues to revise the Power Crunch products. “The important thing is to keep questioning. Curiosity has its own reason for existing.” These words from the great physicist, Albert Einstein ring true in the life of the Power Crunch founder and CEO, Kevin Lawrence. Protein genius in the form of high-dh hydrolyzed whey protein is found in every Power Crunch product.